MP (1882-1887), MP (1887-1891), MP (1891-1892), MLA (1892-1895), MLA (1896-1899), Senator. Born at Elora, Ontario on 29 April 1853, son of George and Elizabeth Watson of Edinburgh, Scotland, who came to Canada in 1847. A millwright by trade, he came to Manitoba in 1876, built mills at Portage la Prairie and Stonewall. He was President of the Manitoba and Saskatchewan Coal Company and the Central Electric Company. On 15 July 1880, he married Isabel Brown (?-? ), daughter of Duncan Brown of Lobo, Ontario and they had six children. He was a member of the Portage la Prairie town council for two years. 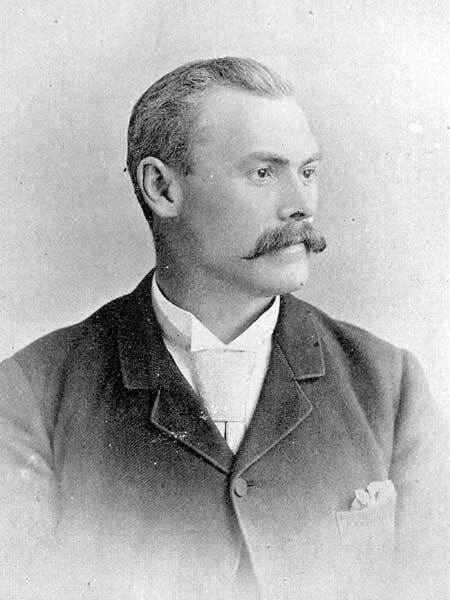 He was elected to the House of Commons for Marquette in 1882, re-elected in 1887 and 1891, resigned in 1892 and was elected to the Manitoba Legislature for Portage la Prairie in 1892, taking on the portfolio of Public Works in the Greenway Government. Re-elected in 1896, he was defeated in the 1899 provincial general election, then was called to the Senate in January 1900. He died at Brandon on 19 May 1929 and was buried in the Portage Hillside Cemetery. His correspondence (1893-1900) is at the Archives of Manitoba. The Canadian Album: Men of Canada or Success by Example, Vol. III, Bradley, Garretson & Co., Brantford, Ontario, 1894.